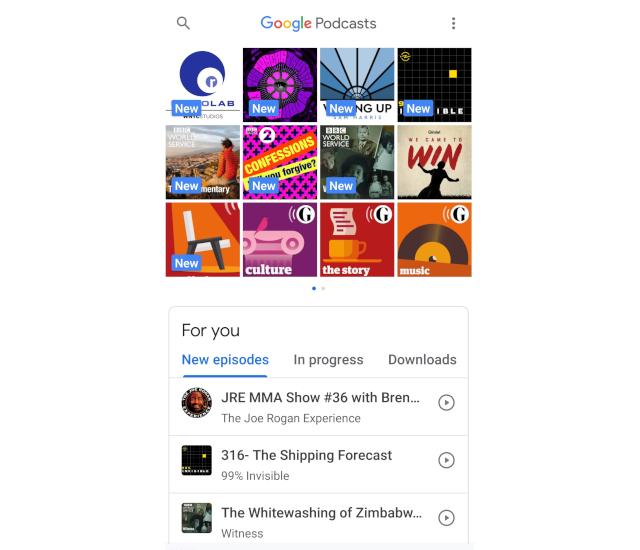 I’m a frequent listener to podcasts, so when Google Podcasts (GP) arrived locally I was quite excited to see how it well it performed. Surely a product developed by Google must do better than apps already available? Unfortunately the verdict is that it’s pretty average. Like all things there are pros and cons to GP (Version 1.0.0), so let’s run through a few. As with all things Google, it’s nice to be able to sign in to Podcasts and have my selection of podcasts available across other Android devices. It’s not unique to Google, PocketCasts does the same. 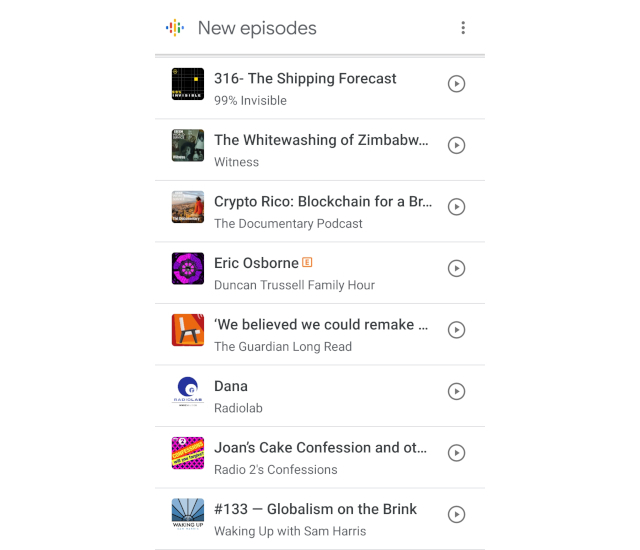 Google’s recommendations are quite good, suggesting podcasts from listeners of specific shows you are subscribed to. I enjoyed recommended podcasts from providers such as Gimlet or WNYC Studios, while it also breaks down suggestions by Arts, History, etc. Unfortunately, you cannot delve into this a bit more to find even more offerings. 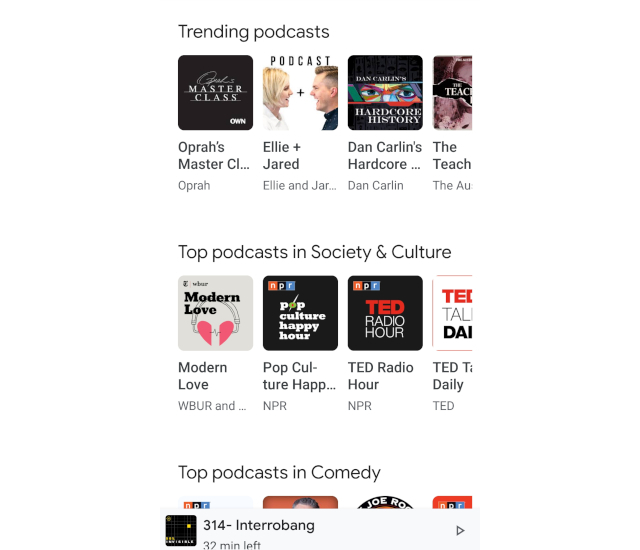 The “Top podcasts’ recommendation for example only shows ten podcasts, with no way to see, say, the Top 100 podcasts. Since it’s Google, it should also show you the top podcasts by country, but the app failed to do so. Perhaps the biggest gripe with GP is that it makes it more difficult to download a podcast than to stream one, requiring a few more clicks. With the high cost of data locally, being able to download in a Wi-Fi zone is key. Having to click a few more times to do so might not sound like much effort, but is irritating. Once downloaded, you cannot build playlists in the app, but you don’t really need to since downloaded episodes will play one after the other. What would have been useful is the ability to change the order of downloaded episodes. On long car journeys for example you don’t necessarily want to listen to a bunch of the same podcasts in order without spicing things up. I’m not sure if it’s ideal, but your downloaded episodes will also appear in the Google Play Music app. Here it falls under the ‘Podcast’ genre, and you can create an ordered playlist to listen to. But, having my podcasts pop up in my music player I found less than ideal, it’s a bit like mixing business with pleasure. I couldn’t find a way to actually remove these from Play Music except by deleting them, plus GP doesn’t offer a way to stop this ability. The playback control user interface is clear and open, with the main buttons being play/pause, Back 10 sec, and Forward 30 sec. 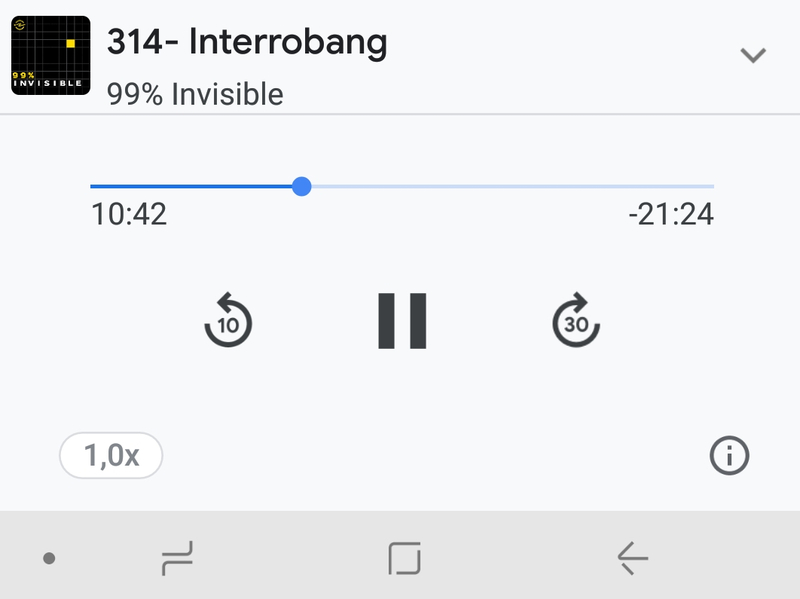 If you like to speed up your podcasts, you can with the playback speed control in the bottom left. There is no way to skip a podcast and forward to the next, plus the GP inexplicably doesn’t have a widget you can load onto a home screen. One of the reasons why I like Podcast Addict, is its great search functionality. I often look for specific guests being interviewed, and have found that this podcast player is the best in showing the specific podcast episodes they appear in. GP failed to do so, often popping up a podcast but failing to provide the specific episode the guest appeared in. You can search the web directly from the player, not that I often used that. A feature I found really useful was the GP’s automatic removal of played episodes. If your phone has limited storage, this is important. The Google Podcasts app is one that I really had a lot of hope for. Unfortunately, if falls short and the app as it is now (Version 1.0.0) cannot be recommended as a top podcast player. Although the UI is cool and clean, things like a lack of widget or a skip episode button make using it frustrating. Ditto for sub-powered search functionality and a lack of playlist creation. GP’s recommendations worked really well, but then Google makes it difficult to download an episode by burying the ability down a bit. If you don’t mind streaming, GP might cut it, but it's not one of my top 3 favourite podcasts apps right now. One can only imagine that the app improves as further iterations become available.